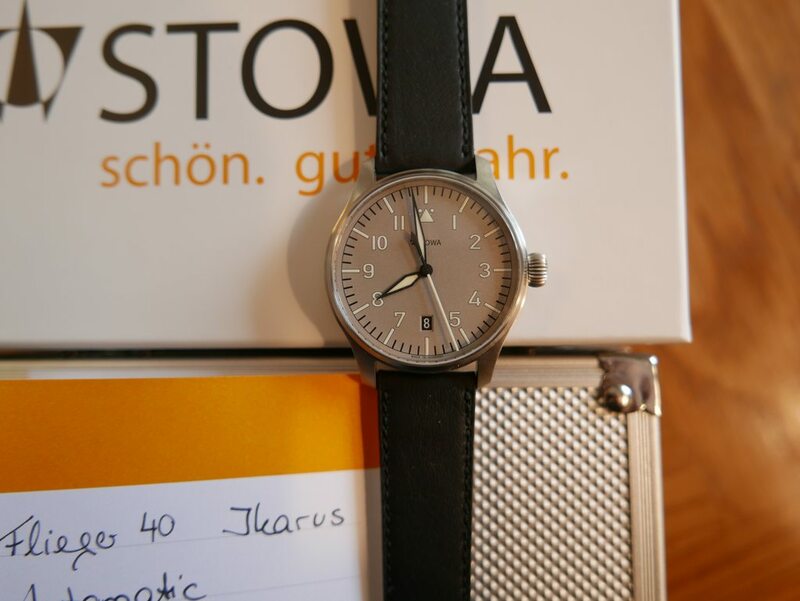 I offer my Mint/LNIB condition Stowa Flieger Klassik 40 Ikarus for sale. 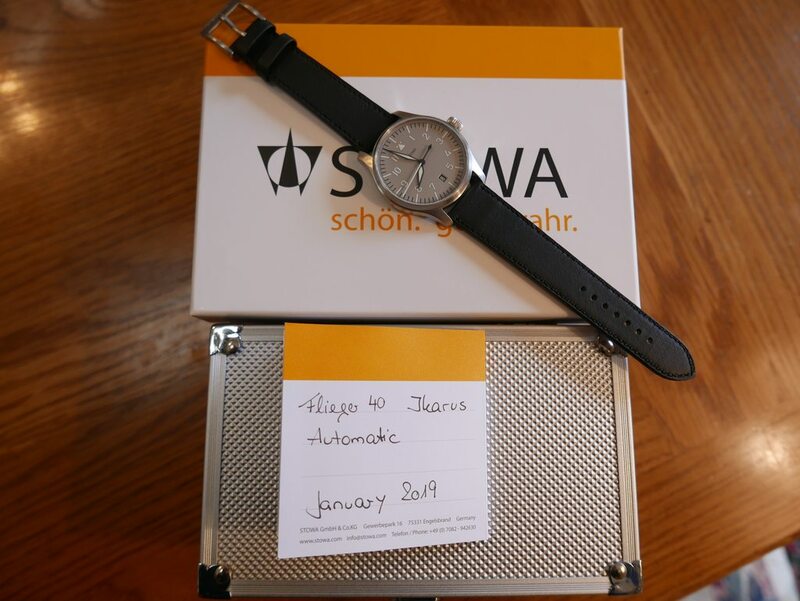 I ordered it from Stowa at the end of January 2019. 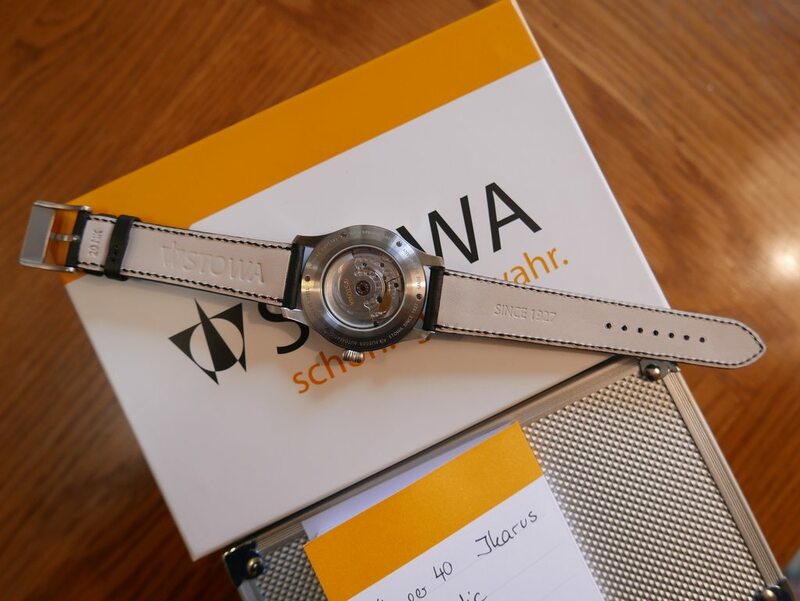 It has the ETA 2824 TOP movement with blued screws and a Stowa hand-stitched strap, both of which were additional cost. 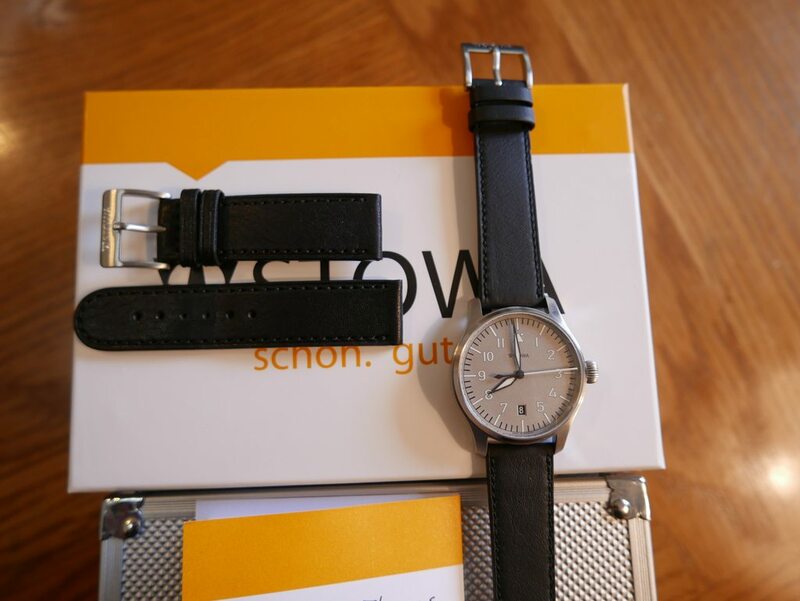 I also include a second like-new Stowa strap (a short length) for those who might be interested in a shorter version of this strap. Included are inner and outer boxes and the warranty booklet, dated January 2019, all in like new condition. I will sell the watch, Paypal fees and insured shipping in the US only included, for $595. I will not be able to lower this price any further.